A second single was pulled from the Rockbird album: In Love With Love. The original US release in 1986 did not have a Warhol related cover. Pictures were by the famous fashion photographer Francesco Scavullo (1921-2004). 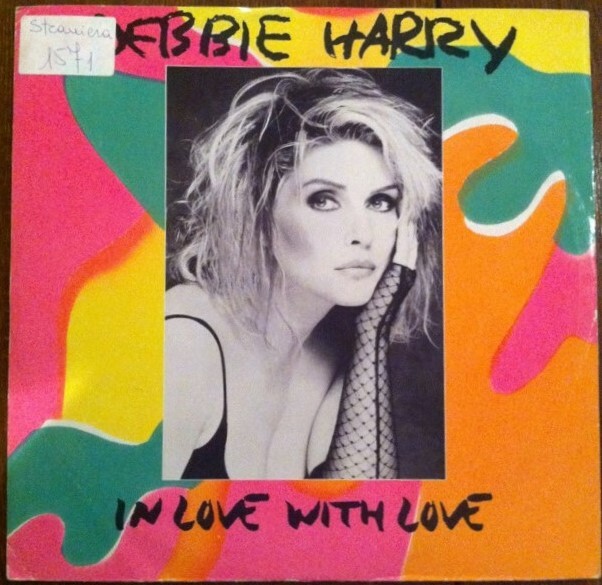 In the video for this song however Debbie Harry was wearing the Sprouse/Warhol camouflage dresses. A short version and a long disco version of the clip exist. The US cover (Geffen) with photography by Francesco Scavullo. 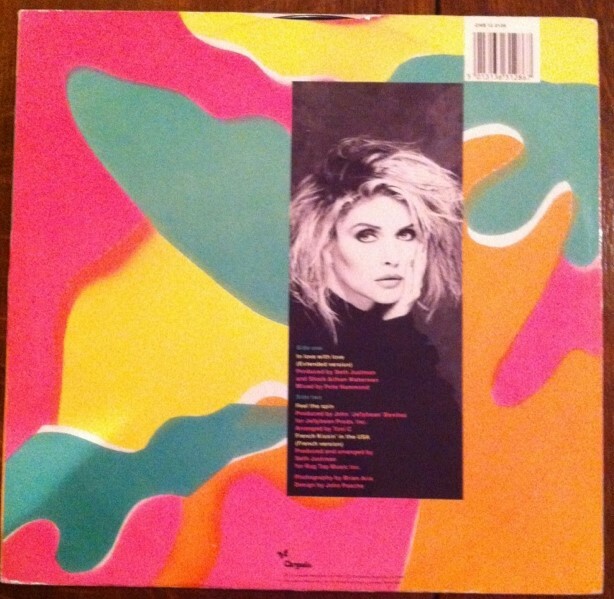 When the single was released in Europe and Australia, in 1987, a different cover was used, which you could call ‘Warhol inspired’ because of the camouflage design. Warhol nor Stephen Sprouse had anything to do with it, however. 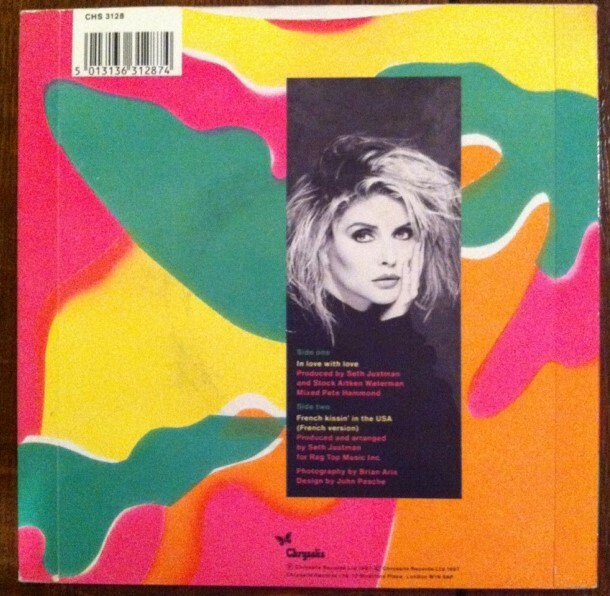 Cover design was done by, again, John Pasche, who made use of the Sprouse/Warhol pattern on the clothing Debbie Harry wore for the clip and the photoshoot. Brian Aris took the pictures. The single is issued in 7″ and 12″ formats, and as a picture disc. UK cover (Chrysalis) Design John Pasche. Photography Brian Aris. I had forgotten about the “In Love With Love” single! 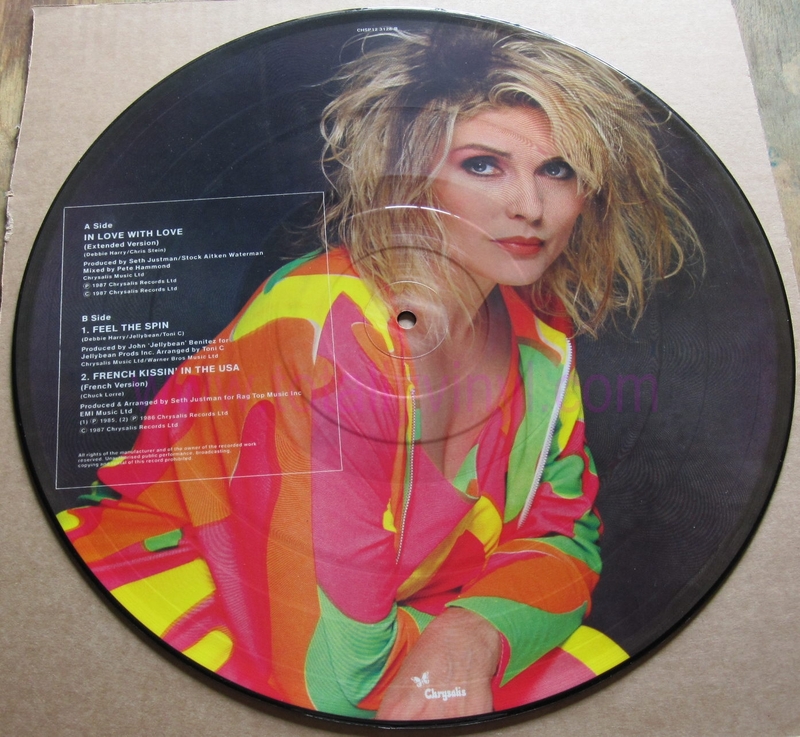 I have the 12″ but I have missed the picture disc. That is really nice. Thanks again.